The FBI employs the same repressive tactics as the NYPD in its broad surveillance of Muslim communities. Why does the FBI get a pass? The New York City Police Department has sought to place an informant on the board of a prominent Arab-American organization. It has sent undercover officers into Muslim students’ organizations. It created a unit—formerly dubbed the “Demographics Unit”—that deploys officers into coffee shops to pretend to be patrons, order their favorite dishes and listen in on coffee-house banter. It has placed video cameras outside mosques to monitor congregants. It has even designated entire mosques as “terrorism enterprises” in an attempt to give itself legal cover to conduct multi-year investigations into mosques’ religious leaders, congregants and basic daily activities. Since 2001, the NYPD has mapped Muslim communities and their religious, educational and social institutions and businesses in New York City and beyond. It has riddled communities with undercover officers and informants. And it has done so unapologetically. Contrary to popular perception, however, the NYPD has not gone rogue. In fact, the NYPD is following in the footsteps of its federal counterparts at the FBI. Both agencies claim their intelligence gathering activities are governed by rules; the difference is that while the NYPD faces some skepticism with regards to the validity—or relevance—of its justifications, the FBI’s own surveillance policies have been accorded far more deference. As an attorney working with New York’s Muslim communities at the Creating Law Enforcement Accountability & Responsibility (CLEAR) project at CUNY School of Law, along with student attorneys and colleagues, I have engaged in various efforts to hold the NYPD accountable for its surveillance and tactics. Along with the ACLU and the NYCLU, we represent Muslim individuals and organizations bringing a legal challenge to the NYPD’s surveillance program. But CLEAR clients’ experiences also show us that the NYPD’s tactics are not exceptional. Aggressively intrusive and harmful intelligence gathering on Muslims’ daily lives is a national epidemic—and the chief culprit is the FBI. The task of holding the NYPD accountable must not supersede the equally, if not more important, task of holding the FBI—and the broader law enforcement community—to account for their own misguided post-9/11 policies. When they were first revealed, the details of the NYPD’s program attracted necessary outrage. Associated Press reporters Adam Goldman and Matt Apuzzo won the Pulitzer Prize for their investigative series based on a trove of leaked internal NYPD documents. The series would then become a book, the recently released Enemies Within: Inside the NYPD’s Secret Spying Unit and Bin Laden’s Final Plot Against America. The authors, like much media and many activists, paint a picture of a rogue police department with Ray Kelly at the helm, and an intelligence division chief (David Cohen) with a chip on his shoulder. The NYPD’s excesses are personified, its programs the product of egos and power struggles among people who need to be reined in, rather than fundamentally flawed policing policies and assumptions that are at the root of domestic counterterrorism policing. Reports that members of the FBI have been publicly critical of the NYPD’s tactics, along with descriptions of turf wars between the two agencies, have contributed to a perception that the federal agency’s intelligence gathering is somehow more restrained and law-abiding than the NYPD’s. These reactions mask the truth. The NYPD has rightly come under fire, and Muslim New Yorkers have joined forces with other communities sharing serious grievances about NYPD activities, linking stop-and-frisk with surveillance and showing continuity in profiling policies. Together, these advocates successfully passed a historic City Council bill that establishes an inspector general to monitor the NYPD, and another one that prohibits racial profiling—even overriding Mayor Bloomberg’s vetoes of both. Mayoral candidate and likely future mayor Bill de Blasio has supported a future inspector general’s investigation into the legality of the NYPD’s surveillance practices. The NYPD’s lawyers are defending the department’s surveillance and intelligence-gathering practices in three different federal lawsuits. This election season in New York City, candidates have courted the American Muslim vote by decrying suspicionless surveillance. Yet the majority of our clients at CLEAR are victims of aggressive intelligence gathering by the FBI, not the NYPD. Of the more than 100 clients—primarily Muslim New Yorkers—we have served, most have been targeted for what are often misleadingly termed “voluntary interviews.” In the office, we have come to view most of them as fishing expeditions. On a daily basis, our clients are targeted by FBI agents inquiring into the most intimate and protected areas of their lives. They are approached at night at their homes, stopped in front of their neighbors or children, solicited outside their subway stops or interrogated at their workplaces in front of their colleagues and customers. And the interrogations are far from voluntary. FBI agents regularly warn our clients who invoke their right to have an attorney present that “they can do this the easy way or the hard way.” One client was so frightened by the agents’ threats that he agreed to accompany them to FBI headquarters and let them strap him to what they claimed was a polygraph machine for four hours as they peppered him with questions, accused him of lying and then turned around and asked him to work for them as an informant. While the precise number of these interviews is not available, our experience suggests they are omnipresent. When CLEAR members facilitate Know-Your-Rights workshops at mosques in New York City, we often ask for a show of hands in the room of people who have themselves been, or know others who have been, interrogated by law enforcement. In many mosques, every hand will go up. The interrogations have a devastating chilling effect on communities. Being pressed about their religious and political affiliations or their community activities inevitably makes our clients hesitate before being active in their mosque or community. After a visit by the FBI, one 20-year-old client scrubbed his Facebook account, un-joining groups and deleting the news articles he had posted in the hope that would spare him from a repeat. It did not work. The interrogations are also deeply stigmatizing: when an individual is approached for questioning, he—the majority are young Muslim men—is perceived by his peers as someone under investigation, and from whom people want to keep their distance. Our clients regularly explain that they agreed to get into the FBI agents’ cars because they did not want to let them into their homes and expose their families, but also did not want their neighbors to see them. I’ve had conversations with college students weighing the pros and cons of taking up a leadership position in their Muslim student group. 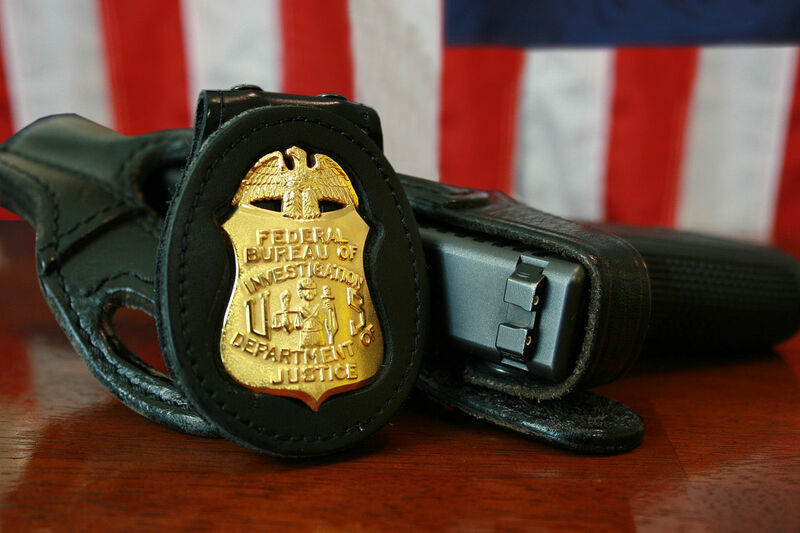 Instead of weighing their class workload against their extracurricular commitments, the balancing involved exposure to further FBI questioning if they were to become more “active” Muslims, and whether their past experience being questioned by the FBI would be bad for the organization, as other students may hesitate to join. And the FBI doesn’t just come in through the front door. Like the NYPD, the FBI sends informants into Muslim communities. The agency maintains over 15,000 informants, and tens of thousands more unofficial ones. Expanding its roster of Muslim informants is a law enforcement priority. A presidential order from 2004 called for a broad expansion of the FBI’s informant program; in 2007 an FBI official boasted of the intelligence gathering derived from its Confidential Human Source Program. The FBI’s 2008 fiscal year budget authorization request includes funding for a program to track and manage the growing number of informants. By now, the tragic fallout of this aggressive drive has been well documented, as informants prey on the vulnerable and sow fear and distrust in communities. But the FBI isn’t going rogue, either. Like the NYPD, the agency shrugs off serious challenges regarding the harmfulness, ineffectiveness and unconstitutionality of its surveillance policies by pointing to the rules within which it operates. But an examination of these rules shows that they are woefully permissive. The Domestic Investigations and Operations Guide (DIOG), which governs agents’ intelligence-gathering activities, has been repeatedly amended. Today, based on 2008 amendments, an agent may conduct an “assessment”—the lowest level of investigation—without needing any approval, or showing any “factual predication” of wrongdoing. Simply put, suspicion of criminal or terrorist activity is not needed to interrogate individuals or send informants into mosques, neighborhoods or organizations. In other words, the DIOG seems to allow the FBI to do much of what the NYPD is doing. In using these tactics, the FBI is operating on the same faulty and dangerous assumptions that guide the NYPD: that the religious practices of millions of ordinary Muslims can be indicators of criminal activity. In 2007, the NYPD laid out its theory of “Muslim radicalization,” ascribing a range of criminal implications to commonplace religious practices. The FBI has propagated the same logic in its training materials for years. Both agencies consider wearing religious attire and growing facial hair to be indicators of a potential terrorist. Both agencies make it their business to intrude on sacred—and First Amendment–protected—spaces. Neither has shown that this is a strategy that makes us any safer. So why is the outrage not equally directed at the federal culprits? At a very basic level, organizing just works better locally. The blustering, in-your-face Ray Kelly and Cohen personify law enforcement impunity, making them easier targets—while most people barely know the name of the FBI director. Moreover, the trove of internal NYPD documents leaked by conscientious whistleblowers provides a very concrete illustration of the excesses at issue, triggering visceral reactions among New Yorkers who recognized their neighborhood bodega in the intelligence division files. On the other hand, the federal government benefits from stringent criminal penalties against whistleblowers, which the Obama administration has been particularly aggressive in pursuing, making it less likely that any similar FBI documents that may exist will see the light of day. In New York, significant strides have also been made to connect NYPD profiling across communities. Muslims have joined black, Latino and civil rights groups in tackling various aspects of the NYPD’s excesses, from stop-and-frisk to suspicionless surveillance. Those connections and alliances have yet to solidify at the national level. The FBI’s surveillance activities are still viewed as a problem affecting primarily Muslims. The national security label plays on this exceptionalism. It took decades for New Yorkers to achieve consensus that a political emphasis on “law and order” should not provide cover for police to rampantly infringe on the civil rights of innocent civilians. But too often, the national security label remains just such a pass: Americans are still too quick to heed the FBI’s call for total deference, with no room for second-guessing. Exceptionalizing a few bad apples like the NYPD also affords a kind of comfort and access to organizers. If the problem is one rogue agency, the task of organizing opposition seems easier than an overhaul of all counterterrorism policing. But the reality is just the opposite: the FBI’s treatment of American Muslims mirrors the NYPD in key respects. The FBI is vulnerable to the very same fallacies, shares many of the same misguided advisors, and possesses very similar tendencies to secrecy, rights erosion and excessive discretion as the NYPD. We need to move beyond thinking locally and exceptionally when it comes to so-called national security policies. The communities that bear the brunt of these law enforcement policies deserve the same fervor and outrage in the defense of their rights whether it is the NYPD or the FBI conducting the surveillance. Guantánamo in New York City Americans remain mostly blind to the abusive treatment of terror suspects on US soil. Diala ShamasDiala Shamas is a staff attorney at the Creating Law Enforcement Accountability & Responsibility (CLEAR) project, based out of Main Street Legal Services at CUNY School of Law. CLEAR works to meet the legal needs of Muslim, Arab, South Asian and other communities in New York City that are particularly affected by counterterrorism policies and practices. Follow them on Twitter: @CUNY_CLEAR.